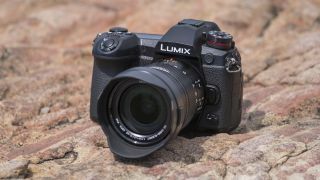 If you've got a Panasonic Lumix G9, GH5 or GH5S then you're in luck, as Panasonic has announced new firmware updates to enhance the performance of all three cameras. You'll have to wait until May 30 to download the updates, but they offer a number of improvements and tweaks, including improved autofocus performance, new monochrome Photo Styles, and upgraded sound quality for video shooting. For Lumix G9 owners, highlights include enhanced AF tracking performance when shooting video, while manual focus for both stills and video should be more accurate thanks to the 20x magnification now available in MF Assist mode. A new L. Monochrome D Photo Style renders tones darker with greater contrast, with grain effects available in different strengths for all monochrome settings. There's also a Live View Boost setting, which enables the electronic viewfinder and LCD monitor to display an image that appears brighter than the image being captured, allowing users to check the composition in low-light environments and help framing. The Lumix G9 should also offer improved sound quality as a result of improvements to the internal noise-canceling microphone, while the camera's High Resolution Mode is now available at apertures up to f/11, up from a maximum of f/8. In addition to the improvements mentioned above, Lumix GH5 users also get Panasonic's Night Mode, which sees the camera screen display all information in red to avoid white light emission, while GH5S users now get a vector scope that can be displayed on the screen while adjusting white balance. As well as the improvements mentioned above, there are a numbered of smaller tweaks and bug fixes for all three cameras. As mentioned, the firmware will be available from May 30.